A.A.T.C and Co. Srl has enthusiastically accepted the convention’s invitation to collaborate with Arch. Canale for creation of an area within the Italian Stone Theatre, pavillon 1 Marmomac. 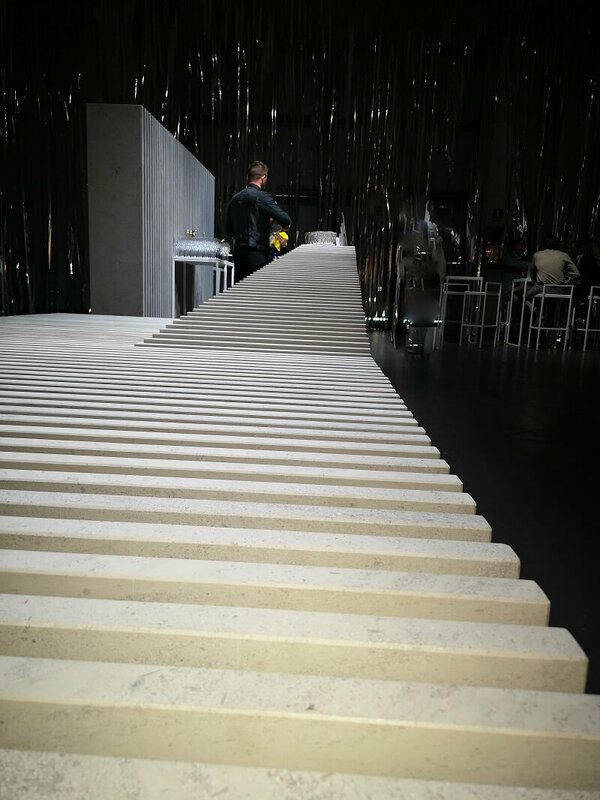 The realization that falls with the theme of “Water and Stone” is composed of a counter of limestone panel that creates a unique and exclusive design. The panels seem to move together in harmony like an ocean wave. 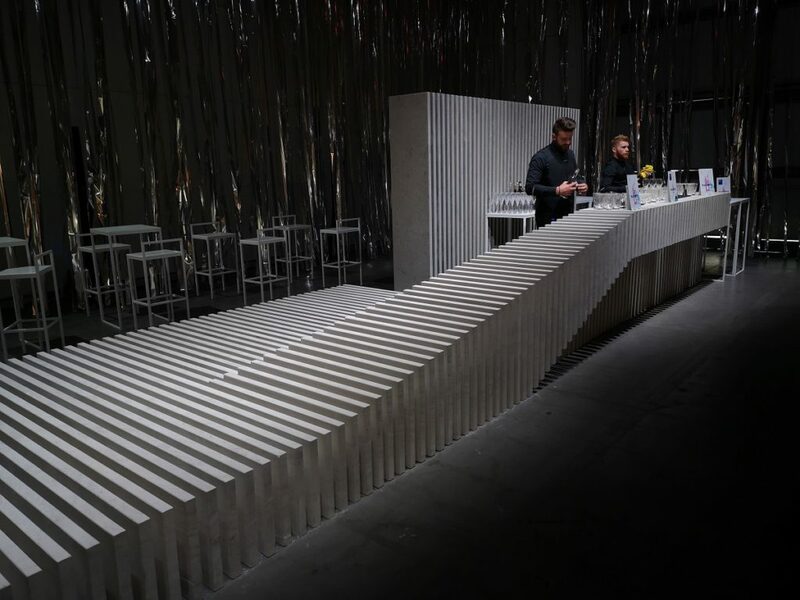 Brand & Stone – Curated by Giordio Canale – Realizzated by A.A.T.C. and Co.